Snap Inc. today is said to be considering an acquisition of Zero Zero Robotics, a Beijing-based drone manufacturer. If true, it might mean that Snap’s cameras will be able to use the company’s tracking software to follow you and put filters over you from a distance. Zero Zero sells the ‘Hover Camera Passport’ drone for $500. 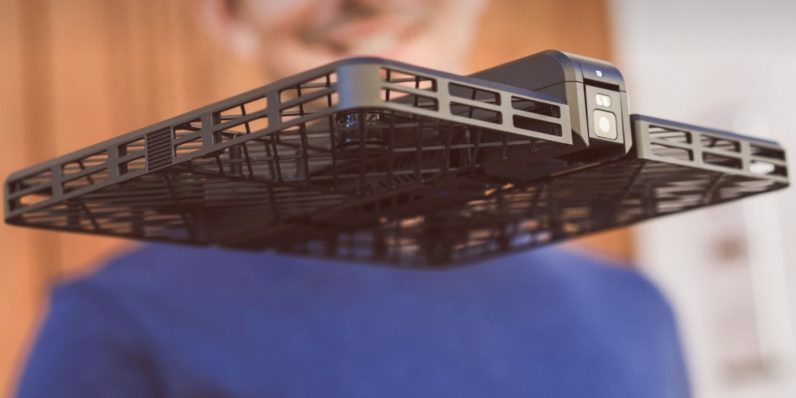 It’s a tiny, carbon fiber camera drone that uses facial recognition software to track the user, ensuring they stay in the shot while the drone takes photos and videos. At the moment, Zero Zero sells its expensive drone exclusively through the Apple store. According to The Information (paywalled), the CEO of the company denies the deal, and no price has been named in the reports. This isn’t the first time Snap has been linked to a drone company — it bought Ctrl Me Robotics earlier this year. Of course, as noted then, Ctrl Me fitted cameras to drones, rather than manufacture either of those pieces of hardware itself. We already know Snap has cameras — those obnoxiously-yellow Spectacle dispensers won’t let Now that Snap has bought an actual, dyed-in-the-wool drone manufacturer, we might be closer than ever to seeing that potential realized.